I'm so excited to share another guest post with y'all today! I first connected with Sarah Elizabeth because she's a sorority sister from another chapter, which is such a cool example of how Greek Life is bigger than just your chapter. Sarah is a newly wed, but before that she lived in Colorado! I can't wait to check a few of these things off my list over the next 6 months. Good Morning friends of Hillary! 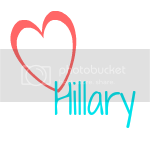 My name is Sarah Elizabeth and I'm guest posting today while Hillary moves and gets settled into her new adventure in Colorado! I just moved away from Colorado at the end of March, so I thought I would share with Hillary (and you!) my 10 favorite things to do in Colorado! 1. Living in Colorado, you become a fan of the Broncos, the Rockies, the Nuggets & the Avalanche because it's way more fun to live somewhere when these teams are doing well & it's a way of bonding with everyone you meet! I highly recommend attending a game for whichever sport is in season - I've been to a game for each team except the Nuggets & they've all been so much fun! 2. Visit the Air Force Academy! Your campus and the visitor center, do some hiking and catch a sporting event if you're in town. There is a large Air Force population in Colorado Springs with several military bases and many retirees, so the spirit at these games is contagious and the pride is from families and individuals that served with the Air Force for years if not several generations. 3. Hike the Incline in Manitou Springs and then spend time in Manitou Springs & Old Colorado City. The Incline is HARD but so worth it! Manitou is full of colorful people & th celebrate every holiday with fun traditions - like coffin races. 4. Explore Garden of the Gods. I adore Garden of the Gods - it's beautiful! Every Easter there is a nondenominational sunrise service in the park and my brother took his senior prom pictures there. It's great for shirt hikes, there are people on horseback every time I've been, races are always running through the park and they have a great visitor center. As a kid, I attended a summer camp in Garden of the Gods where we went mud sliding - it was a blast! 5. Take the COG railway to the top of Pikes Peak. The COG is a guided tour up and back down Pikes Peak - the inspiration point for America the Beautiful. At the top, there are tasty donuts to try and I know many friends and even my dad who have hiked up the peak. Living in Colorado Springs, Pikes Peak is your center for directions and the first day you see her covered in snow for the season is magical! 6. Visit Santa at the North Pole. No matter the time of year, Santa is there for you to visit in his log cabin. If you have kids or are a kid at heart, the North Pole is a fun place to spend the day! 7. Take a tour of the Celestial Seasonings tea factory in Boulder. I love tea and so this tour is right up my alley. The tour is free and you can have as many free tea samples as your taste buds desire - and no matter the time of year, they have your favorite holiday teas in their store. 8. Spend the day in Old Town Fort Collins. Fort Collins is one of my favorite Colorado towns along with Buena Vista & Colorado Springs. Supposedly, Main Street USA at Disney is based around Old Town FoCo - how cool is that?! There is great shopping, delicious dining and always a fun event going on! 9. Tour New Belgium brewery. This tour is SO much fun - there's even a slide at the end. Bonus if you can tour the brewery in conjunction with Tour de Fat - a costumed bike ride through Fort Collins. 10. Drive into the mountains when the Aspens change color in September. This is magical! The leaves are golden against the light trunks and Aspens leaves are always shaking. This is quintessential Colorado in the autumn and something I missed this year. Those are my 10 recommendations for people visiting or living in Colorado. There is nothing quite like that Rocky Mountain high and I hope Hillary falls in love with Colorado the way that I did growing up there. What would be your recommendations for visiting Colorado?